Today, we're bringing back an old friend of ours, Ann Withers! Not only can you catch Ann on our newest episode of Studio C, but you can get up-close and personal with her in our latest exclusive interview below! But before you learn about Ann's favorite movie and see her twerk, be sure to watch Susan Weebers', Batman's, Señor Lobster Bisque's, Robert the Artist's, Prince Charming's, and the Yellow Justice Ranger's interview! Now without further ado, Ann Withers! Ann: Ooh, my favorite food. Ah, that would have to be fried green tomatoes. Mhm. Ann: Ooh, well, mostly I peruse the aisles in every library, every bookstore. I like conversing with "Little Women." They're my friends. They're actually all very tall. Ah, but they're young. Ann: My dream career. I'm already living it. Living my life through the lives of others. The fresh pages. The crisp jackets. It's a dream come true really. Ann: My favorite animal is the lonesome dove. Ann: My all time favorite movie, uh, would be, um… A movie… I don't-- I don't go to the cinema very regularly. When did Laurence Olivier grace the stage? Ann: Giver. I am a giver of life, a giver of stories, a giver of passion. Mmm. Ann: Ooh, eat, pray, love. Mmm. Ann: My favorite dance move, ooh. I like ones in the hips really. That's really where my strong suit is. There's-- oh, there's a new one. I don't know if you've seen it. It's the can-can. I hear it's all the rage in vaudeville. There's also one called twerking, but that's not really my strong suit. Ann: My favorite Studio C sketch that is not mine would have to be, "Super Sibling." I've always loved the chivalry the dashing looks of Jason as Superman. Batman's way too gruesome. BYUtv: What is your favorite book? Ann: Oh, that's easy. The best book in all the books would have to be "Diary of a Young Girl." It's me. It's my diary. It's Ann's diary. There's another diary by a girl named Ann? Ooh. I'd love to read it. She sounds nice. 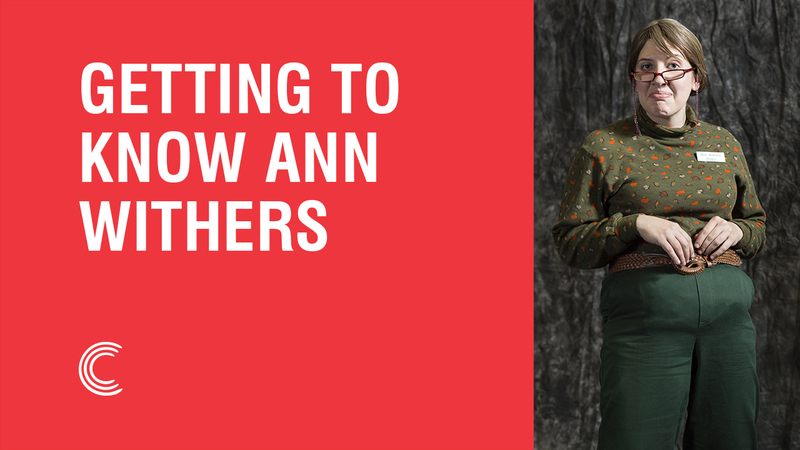 Can't Get Enough of Ann Withers? 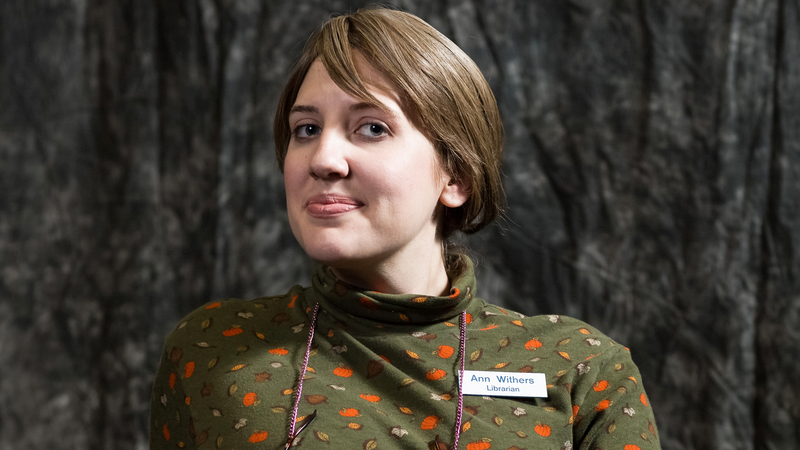 Don't miss Ann Withers the librarian (and more of your favorite characters) on Studio C Season 9 airing every Monday night at 7pm MT on BYUtv.